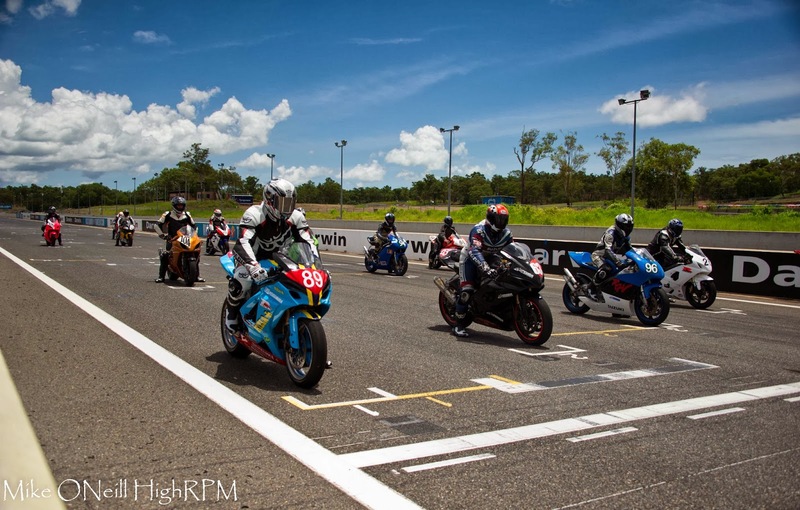 The author's first attendance at a bike road racing event and although I have an interest I thought it was about time I ventured down to fine tune my camera work prior to the drag racing and V8 Supercar season for Darwin. I was really impressed with the season opener for TERRA. 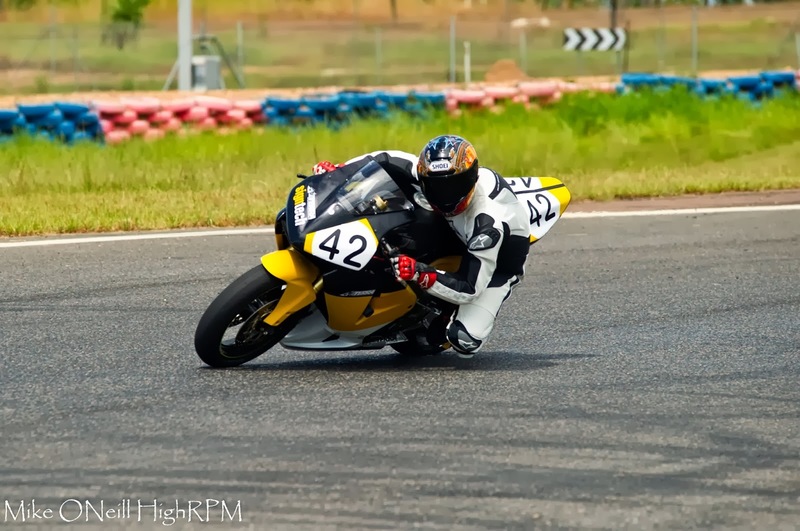 Whilst the field was down for the A grade bikes, other classes were chock full of riders. The weather was certainly hot and humid and I was a bit perplexed seeing all the tyre warmers on all the race bikes in the sheds - but if it's not tacky then there's less grip! ﻿ Each class was a joy to watch. 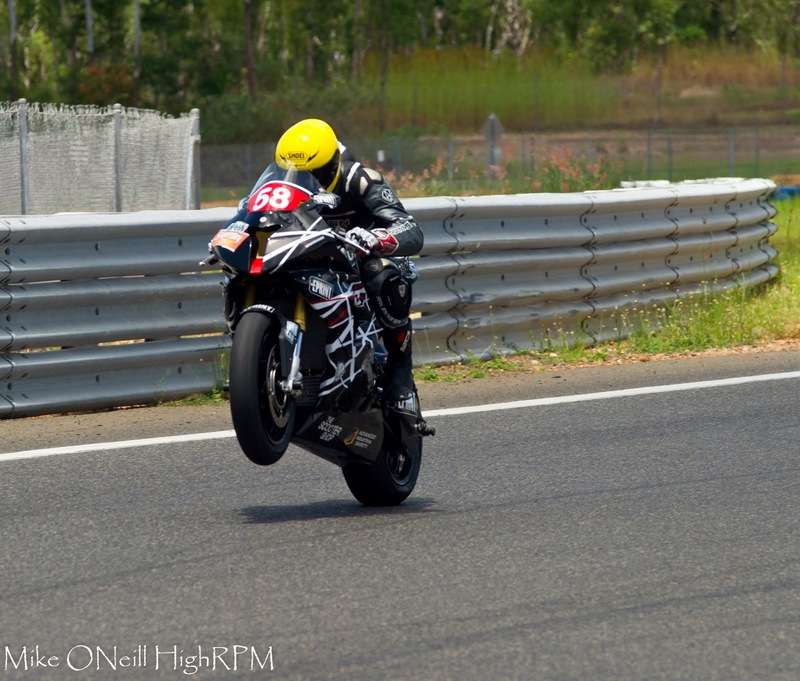 From the 'race what ya brung' class in which anybody can race and get the adrenalin rush of racing Australia's best track, but the feeling of pushing up to 280km/h down the straight is not something for the light hearted - especially on two wheels! The SuperSport class 600's and 1000 class was amazing. There's some real talent in the NT. Entry is free to spectators during these local rounds so I really would encourage everyone to support the club and its riders and even become a member and have a casual or full hearted go at racing too! The events were run extremely smoothly with no lag time between heats. If you're starved of speed then I highly recommend seeing these guys in action. "Crazy start to the season. Gremlins got into the timing, the lights and the PA. Mick Kelly's bike managed to last 10 whole laps without breaking down so he won both 600 races. Dave Lovett coming in second with a good battle of the triumphs between Traff Whalan and Jon pilkington to round out the top spots. Due to injury and no shows there were only 4 on the grid for 1000's. Stan whiting had an ea...sy victory posting a PB. Race 2 of 1000's was cut short due to a fall from Murray hall. (He's broken a wrist and is in for surgery, but otherwise unscathed). Then the storm came through threatening to electrocute the Marshall's so the meeting was called off early. "